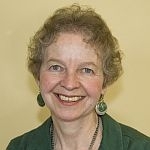 (HOST) With Vermont’s libraries marking National Library Week in April, commentator Mary McCallum reflects on the important role that one public library recently played in her own life. (MCCALLUM) Sometimes it takes a while to realize that it’s time to move on. And unless another haven beckons, we often stay with the devil we know instead of taking a chance on something new. For years, I worked as an educator in Vermont’s highest security prison. I taught in a windowless classroom, heard bad language so often that it seemed like background music, and watched stressed staff and depressed inmates navigate the climate of despair and anger. After seven years I knew it was time to go, even if it meant stepping into joblessness. What happened next was an unforeseen blessing. A small public library in one of Vermont’s historic towns needed an interim administrator to steer the ship for a few months, and I got the job. The library faced a shady green with a gazebo for summer band concerts, and the village sidewalk out front threaded past stately old homes and churches. The nineteenth-century brick building, with its high ceilings, burnished oak woodwork, twin fireplaces, and massive reading tables circled by Windsor chairs was a balm to my beleaguered spirit. Over one fireplace hung a 1916 mural depicting two reclining figures reading, with a Latin inscription that translates into: "Accurate reading is for profit, varied reading for delight." Late afternoon sun slanted through high windows as patrons thumbed through the old card catalog and a crew of cheerful retired volunteers worked the front desk. There were computers for staff and patrons, but new library cards were still typed out on an old electric typewriter in the back office. I felt as if I’d landed on a small planet of safety and gentility. This one was a time capsule that resembled the library of my childhood, a place both familiar and comforting. Vermont has 183 public libraries that run the gamut from fully automated technology centers to tiny spaces of one or two rooms crammed with riches. Most bustle with activity as patrons log onto computers, download audio books, attend lectures and films, participate in book discussions for grownups and story hours for kids and – oh yes – read quietly and check out books. Public libraries often provide temporary refuge to the homeless and unemployed, a place to stay warm and dry while affording access to computers for job searches. Libraries regularly deliver books to the elderly who no longer drive. For researchers who’ve exhausted their own library’s collection, inter-library loan borrows what they need from other institutions. Kids carry home backpacks full of books while parents take home DVDs of the latest films. All of this, at no cost or the price of a membership fee. Think of it. Every April we honor our libraries during National Library Week. Alas, the rest of the year we tend to take them for granted. But when one Vermont library threw me a safety net when I needed it, it felt like the words inscribed above the door of one library in ancient Greece: Medicine For the Soul.